"These talented Production Designers create the film’s visual concepts, emotion and atmosphere," according to John Muto. "They bring the script to life." The Art Directors Guild (ADG) Film Society and the American Cinematheque (AC) are co-hosting a Fifth Annual Screening Series highlighting the work of renowned Production Designers and their creative colleagues. The series will run from May through October, and the screenings will alternate between the AC’s Lloyd E. Rigler Theatre at the Egyptian (6712 Hollywood Boulevard, Hollywood) and the Max Palevsky Theatre at the Aero (1328 Montana Avenue, Santa Monica) with all screenings starting at 5:30 pm. Sunday, May 22, Renaissance (2006) honoring Christian Volckman, Aero Theatre. The series kicks off with a tribute to the talent of Director and Production Designer Christian Volckman, and this pioneering work of feature film motion capture animation and futurist urban design. Renaissance is a high-contrast, black-and-white film noir, sci-fi thriller. It takes place in a remarkably reimagined Paris of 2054; a dystopia dominated by Avalon, a corporate giant selling the irresistible promise of 'ageless beauty.' The disappearance of a gifted young scientist draws a troubled cop into a twisted underworld of corporate espionage, murder and outlawed genetic research. Renaissance features the voice talents of Daniel Craig (Casino Royale), Jonathan Pryce (Pirates of the Caribbean Trilogy) and Ian Holm (The Lord of the Rings Trilogy). Frenchman Volckman is a painter, graphic designer, photographer, author and producer, as well as a movie director and production designer. This is his first feature film. A panel discussion including both visionary architects and film designers will follow, moderated by Production Designer John Muto. Sunday, June 26, Agora (2009) honoring Guy Hendrix Dyas, Egyptian Theatre. In June, the series will feature Agora, an historical drama spotlighting Production Designer Guy Hendrix Dyas who recently earned an Academy Award® nomination for his work on Inception. He has also been nominated for three consecutive Art Directors Guild Awards, winning this year for Inception. Dyas also became the first British designer to win the Goya award (Spain’s Oscar® equivalent) for Best Production Design for his work on Agora. 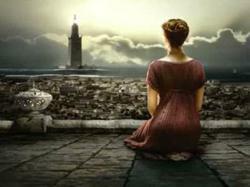 Directed by Alejandro Amenábar, Agora is set in Roman Egypt of 400 A.D. and tells the story of Hypatia, a Greek woman; a mathematician, astronomer, and philosopher who struggled, and failed, to save the wisdom of classical antiquity in the midst of religious war among the Christians, Jews, and pagans of Alexandria. Filming took place on the island of Malta where Dyas recreated large parts of the city on location, which were further extended with the help of computer-generated imagery. The construction of the main set employed almost 400 people, and was the largest ever built on the island. After the film a conversation will take place with Designer Guy Hendrix Dyas and Set Decorator Larry Dias, to be moderated by Production Designer John Muto. Sunday, July 31, The Boy Friend (1971) honoring Tony Walton, Aero Theatre. The next film of the series, The Boy Friend designed by master Production Designer Tony Walton, will focus on the art of designing musicals for the screen. Walton’s awards include an Oscar® for All That Jazz (1980) and Emmy® for the acclaimed 1985 TV version of Death of a Salesman, as well as numerous other Oscar®, Emmy® and BAFTA nominations. The Boy Friend was directed, produced and written by Ken Russell, who tells the classic stage fantasy of an assistant stage manager (Twiggy), of a threadbare theatrical troupe, who takes over for the injured leading lady at a matinee when a Hollywood director just happens to be scouting for actors. She is also secretly in love with the leading man (Christopher Gable) – and imagines a series of spectacular musical fantasy numbers starring the two of them, in a Technicolor® evocation of the cinema of Busby Berkeley. Following the screening, Tony Walton and a distinguished panel of design and musical theatre professionals will participate in a discussion moderated by ADG President Thomas A. Walsh. Sunday, August 21, Das Boot (1981) honoring Rolf Zehetbauer, Egyptian Theatre. The next film in the series will be Das Boot, spotlighting the talents of Production Designer Rolf Zehetbauer. 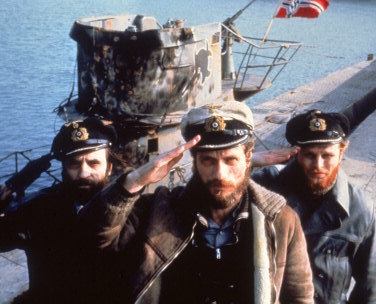 Das Boot is a 1981 German epic war film written and directed by Wolfgang Peterson and starring Jürgen Prochnow, Herbert Grönemeyer and Klaus Wennermann. It is an adaption of the 1973 German novel Das Boot by Lothar-Günther Buchheim. Set during World War II, the film tells the fictional story of U-96 and its crew. It depicts both the excitement of battle and the tedium of the fruitless hunt, and shows the men serving aboard U-boats as ordinary individuals with a desire to do their best for their comrades and their country. Zehetbauer, who has designed almost 130 films, won the Oscar® for Cabaret. Following the screening there will be a panel discussion, to be moderated by ADG President Thomas A. Walsh. Sunday, September 25, Frida (2002) honoring Felipe Fernández del Paso, Aero Theatre. 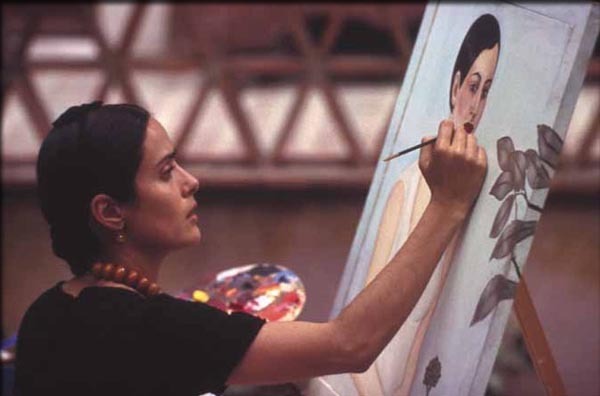 September’s screening is a visual feast—the biopic of Mexican artist Frida Kahlo (Salma Hayek) who channeled the pain of a crippling injury and her tempestuous marriage to famed muralist Diego Rivera (Alfred Molina) into her remarkabled paintings. Production Designer Felipe Fernández del Paso was nominated for an Oscar® for his brilliant and memorable work in recreating the exotic, vanished world in which the artists, painters, writers, photographers and philosphers of fabled 1930s Mexico lived and worked. Following the screening will be a panel discussion including both distinguished Costume Designers and Production Designers, to be moderated by Production Designer John Muto. Sunday, October 23, Land of the Pharaohs (1955) honoring Alexandre Trauner, Egyptian Theatre. The final film of the series is a cult classic, written by William Faulkner and directed by Howard Hawks, that has special resonance for those Production Designers who grew up during the baby boom. A captive architect designs an ingenious engineering plan to insure the impregnability of the tomb of a self-absorbed pharaoh (Jack Hawkins), who’s obsessed with the security of his next life. When the pharaoh’s first wife dies under suspicious circumstances, his young, beautiful, ambitious new wife (Joan Collins), with the help of the captain of the guard, makes her own plans to rule Egypt. Lust and intrigue culminate in an amazing final reel set piece that involves the sealing of an entire pyramid – a sequence that no young art director could ever forget! “Land” was only one of many milestones in the long and distinguished career of Production Designer Alexandre Trauner. He received the Oscar® in 1961 (shared with Decorator Edward G. Boyle) for his work on The Apartment. Trauner worked with many of the great directors of his era including France’s Marcel Carné, Billy Wilder, Joseph Losey and John Huston. A distinguished panel discussion will follow the screening, moderated by Designers John Muto and Thomas Walsh. Follow the American Cinematheque on Twitter (sidgrauman) and Facebook (Egyptian Theatre, Aero Theatre).